Were you accused of a criminal offense in Houston? If so, you’re best option is to secure the legal services of a top Houston criminal law attorney like Attorney Mark W. Bennett of the Bennett & Bennett law firm in Houston. Whether you’re unlucky enough to be accused of a felony or misdemeanor criminal offense, Bennett & Bennett is one of the best qualified criminal defense law firms in Houston for the case. Bennett & Bennett will defend individuals charged with various offenses. If the state or the federal government prosecutes it, the criminal defense attorneys at Bennett & Bennett will fight it. 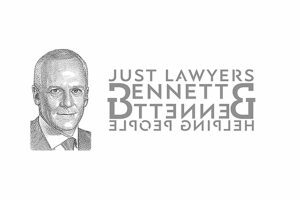 Listed below are the common areas of the law in which Bennett & Bennett are often called upon for legal representation with regard to. As you can see, Bennett & Bennett is a full service law firm that takes on the wide range of cases prosecuted by the state of Texas. Whether you’re facing a minor misdemeanor criminal charge or a serious felony offense, Attorney Mark W. Bennett is willing and able to help you. Attorney Mark W. Bennett is a Board Certified® criminal law attorney in Texas which puts him a cut above of the rest and distinguishes him from the pack of average criminal defense attorneys in Houston that are currently taking on clients set for hearing at the Harris County courthouse. A Board Certified lawyer is a lawyer who has never been disciplined for misconduct that has also passed a number of required test and received a number of recommendations from other lawyers and some judges. When you’re represented by attorney Mark W. Bennett for a criminal case, you can be assured that you’re being represented by one of the best.